Projected Capacitive Technology permits more accurate and flexible operation by etching the conductive layer on the touch screen. Projected Capacitive Technology (PCT) is a more robust solution versus resistive touch technology since PCT's top layer is made of glass. DOPO's Projected Capacitive Touchscreens can support resolutions up to 1024 x 1024 with a sampling rate of 50 times per second. Our Projected Capacitive Touch Screens uses multiple layers of glass wih optical lamination in assembly process. This makes the PCT touch screen the same touchness as tempered glass which could stand against shock and impact. 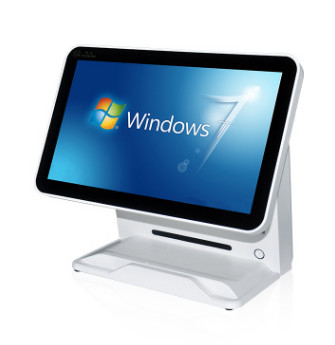 Projected Capacitive touch panels are embedded with high performance IC and users can enlarge, shrink, rotate, flip and drag pages easily due to the multi-touch gesture support (multi touch touch screen).